Lee Smith lives on a cattle ranch in Estancia, New Mexico. 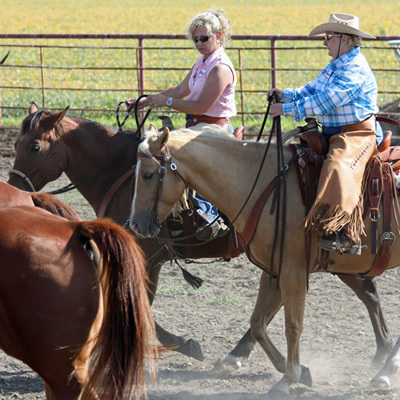 She and her husband Mark have a cow-calf operation and raise quality Quarter horses at their Harmony Hills Ranch. 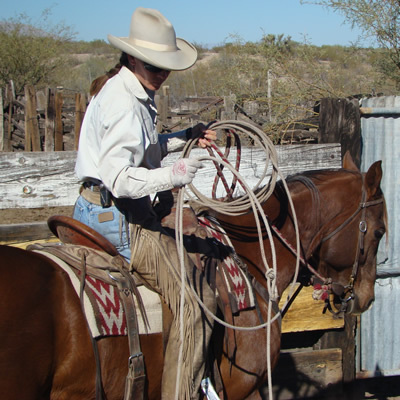 Lee has conducted hundreds of clinics and demonstrations throughout the U.S. and Canada since 1991 as well as teaching ranch horse classes at the Diamond S. Lee considers herself a student of the horse, and lucky to have shared her experience with thousands of horse people from throughout the world. Lee is a gifted and eloquent teacher who has extraordinary insight into horses and people. She shares what she sees as if speaking for the horse and thus provides her students with the opportunity to observe the exchange of communication between horse and human. Teaching people to learn from the horse. Lee leads people on a pathway of discovery to the essential elements of horsemanship. She helps them to unlock their potential to understand the mind, body and spirit of the horse using what naturally happens, and then shows them how to appreciate and build upon the incredible moments of harmony that are possible. Lee believes that through life's experiences (horse related or not), the answers lie within us. Clinics around the country are conducted to prepare you and your horse for a greater level of performance. While clinic material may vary, each emphasizes communication with your horse without force or fear to establish a willing partnership rather than resistance. The goal is a horse that is soft, gentle and responsive that moves smoothly and relaxed in every situation. Lee will share her philosophy on building the confidence of the horse and rider through mutual trust and respect. Whatever your interests, Lee can offer you insight and skills to enjoy the events you like now, while you develop your horse and your horsemanship. Join Lee and learn the essential elements of quality horsemanship. 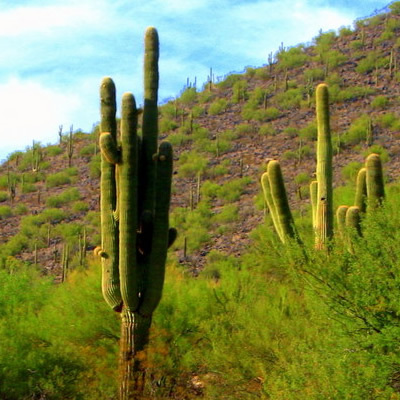 Are you tired of the same old clinics? Lee makes available venues that are educational, inspiring and tailor made. 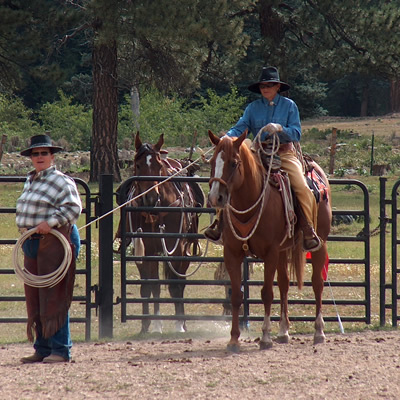 The Essential Elements of Horsemanship (®) are the keys to your success. Lee teaches these at each of her clinics regardless of the format.